For a waterside location that’s central to all your entertainment, look no further than Casino Wharf Pyrmont. Located just across the road from Star City Casino, and Lyric Theatre this wharf buzzes with the same excitement as The Star itself. Casino Wharf is truly the gateway to the very best of Sydney and its waterside entertainment. Enjoy fine dining, unparalleled entertainment and picturesque parklands, all just walking distance from your water taxi.The Casino itself offers luxury hotel accommodation hilarious comedy acts and a 24-7 sports bar – and that’s just the beginning. 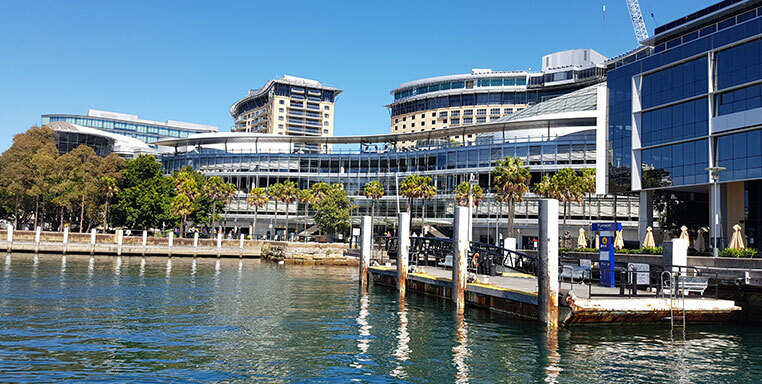 Casino Wharf Pyrmont is located next to Dolton House, your home of high tea, wedding celebrations, business and corporate events, which makes it ideal to arrive or leave by water taxi. With a Sydney VIP water taxi, you can quickly shift from work to play and back again. Let us show you the very best parts of this wonderful city. We can help you plan your trip your way or give you some recommendations. Our luxury water limousines are perfect for wedding parties, holiday getaways and much more. Give Majestic Water Taxis a call to make your booking today.